Virgin is the most popular train operating company in the UK. New Which? 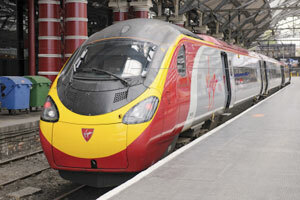 research reveals that for the second year running Virgin tops our poll of train-passenger satisfaction. Virgin came first with a customer score of 67%. First Capital Connect is last with a score of 40%, and Greater Anglia, South Eastern and First Great Western aren’t far behind at the bottom of the table. Virgin customers gave it a thumbs-up for value, punctuality and reliability. Merseyrail’s passengers also score it highly for both overall satisfaction and for value. And for commuter journeys, where price rises hit hardest, London Overground customers also think they get good value for money. So it’s no surprise that London Overground tops our table for commuter services. The Which? train satisfaction survey is made up of responses from 7,519 train users who have made an average of 37 train journeys each year. Which? members can find out how well their train company did in the new Which? trains survey. Not a Which? member? You can get access to our survey plus all our testing results if you sign up for £1. The four least popular companies overall – First Capital Connect, Greater Anglia, First Great Western and South Eastern – all offer services that don’t feel like value for money for their customers, particularly commuters. Share your stories about trains and ticket machines using our trains and ticket machines story share. We’ll pass our findings on to the Department for Transport and the train operating companies. Which? executive director Richard Lloyd told us: ‘With 1.5 billion train journeys made every year and eight of the 17 UK rail franchises up for grabs in the next two years, customer service should be top of the agenda for every train operating company. It is good to see some are performing well on service, but passengers clearly feel others need to do better.